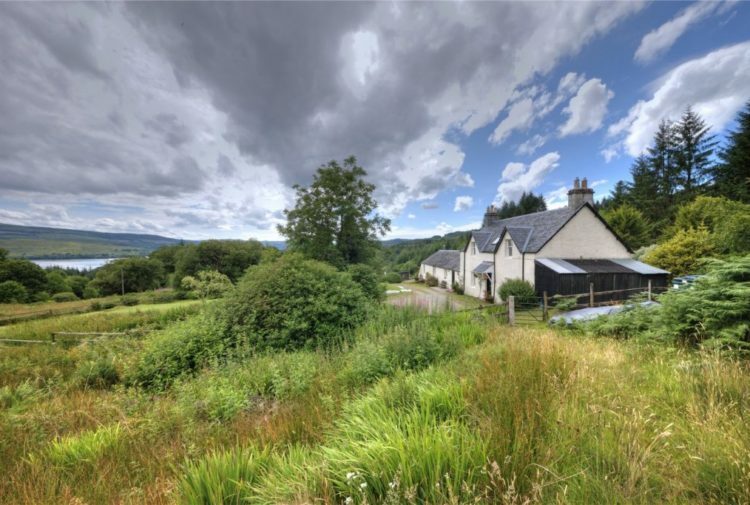 A semi-detached country cottage dating from about 1880, surrounded by farmland and woodland walks, on the property market. 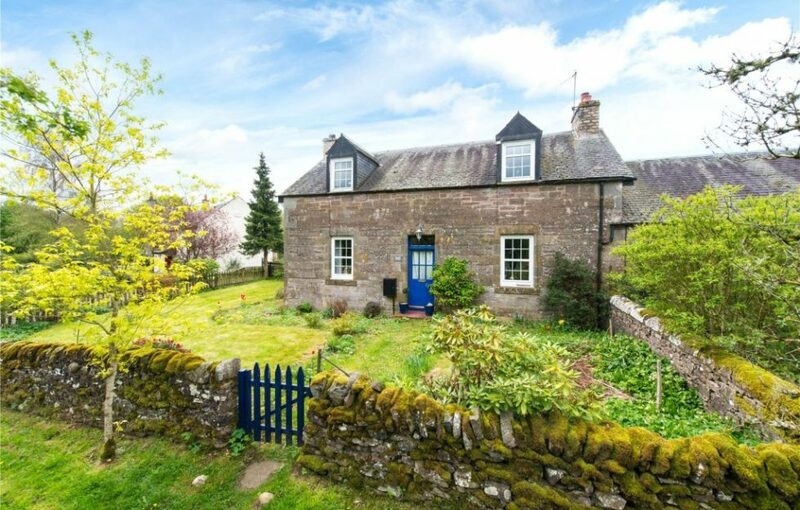 Presented for sale by Bell Ingram, Gardeners Cottage, Newmiln, Guildtown, Perth, is a traditional semi-detached country cottage dating from around 1880, originally forming part of the Newmiln Estate. It has typical features from this period. The flexible accommodation allows the cottage to be used as either a two or three-bedroom property and with the addition of the conservatory there are two clearly defined public areas. A glazed door opens into the entrance hallway where there is a cupboard under the stairs. A sweeping staircase leads to the first floor. 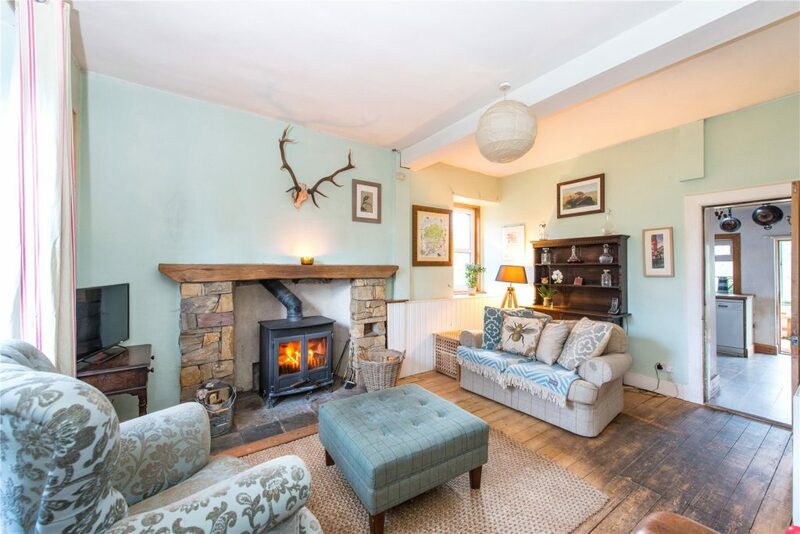 The sitting room has a large multi-fuel burning stove which provides an attractive focal point. There are windows to the front and side. The kitchen has a range-style electric oven and propane gas fired hob. There are cream base and wall mounted units with wood block worktops, an inset Belfast-style sink and plumbing for an automatic washing machine and a dishwasher. A glazed door leads through to the conservatory. 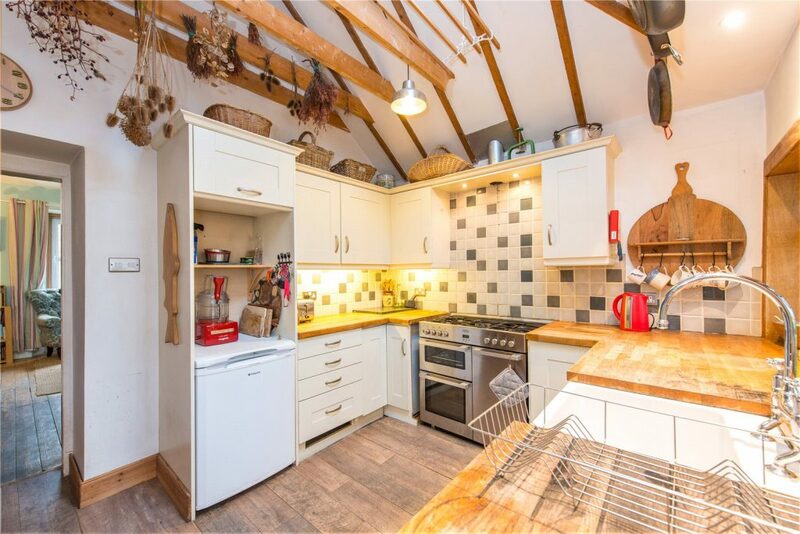 A particular feature of the kitchen is the vaulted ceiling with exposed beams and a Velux window and there is a double window overlooking the front garden. 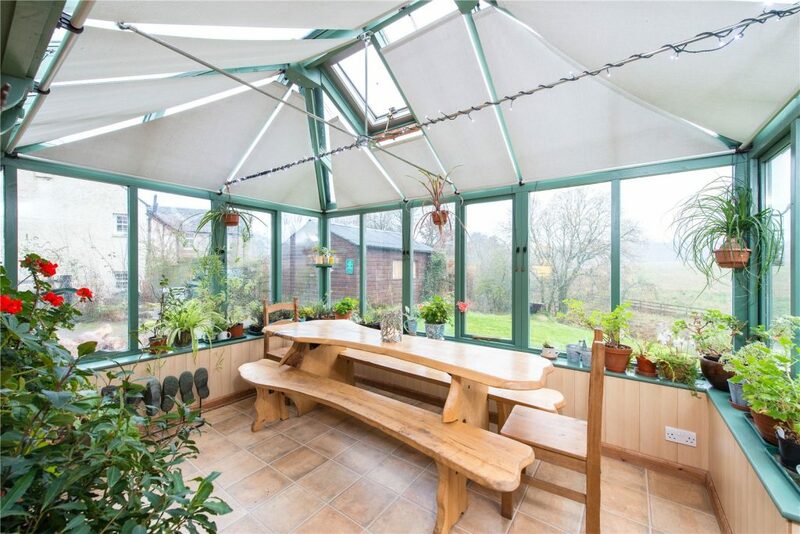 The conservatory has a dwarf wall, a glazed pitched roof, surrounding double glazed windows and underfloor heating. French doors open out to the garden and the views extend out towards open farmland. Positioned on the ground floor, the bathroom has a WC, wash basin and a bath with an electric shower above. The walls are extensively tiled, there is a storage unit and there are two windows to the rear. Also on the ground floor is a double bedroom which could be used as a further public room. It has an open fireplace and a window overlooking the front. On the first floor, additional light is provided by a Velux window. There are two further double bedrooms with dormer windows. Each room has a decorative fireplace. There is a servitude right of access from the track with a shared responsibility for maintenance. This leads to Gardeners Cottage where a driveway and an enclosed parking area with space for a number of vehicles. The gardens are on three sides of the cottage. To the front the garden is bounded by a drystone wall with a picket gate. It is laid to lawn and continues to the side. At the rear is a sloping lawn with a paved seating area, a log store and a large timber shed with a pitched roof. The oil tank is located at the rear. Gardeners Cottage is a semi-rurally situated property located less than a mile south of the village of Guildtown. The village itself offers local amenities including the village hall and recreation park. From the cottage, there are walks into Guildtown and southwards to the River Tay. The primary school catchment is for Guildtown Primary School which currently has 18 pupils, and secondary education is in Perth. The city of Perth has an excellent range of shops, supermarkets and professional services and is in a pivotal position with motorway and dual carriageway connections to all the major cities of central Scotland. Perth also has a railway station with services to Edinburgh, Glasgow, Dundee, Aberdeen and Inverness. Recreational opportunities in and around Perth are excellent. Scone Palace, one of Scotland’s finest stately homes, is close by. 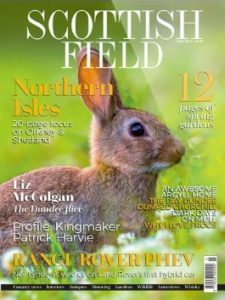 There is National Hunt racing and polo at Scone, which also hosts the Game Conservancy’s Scottish Fair. 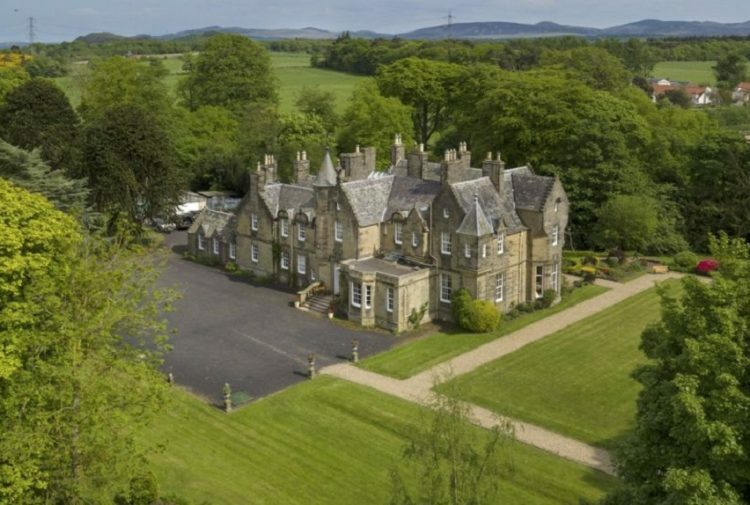 There are numerous good golf courses nearby, including Gleneagles, and a number of town courses such as Murrayshall, and Rosemount at Blairgowrie. Perth is a gateway to the Highlands with ample opportunities for hillwalking and skiing at both Glen Shee and Aviemore. 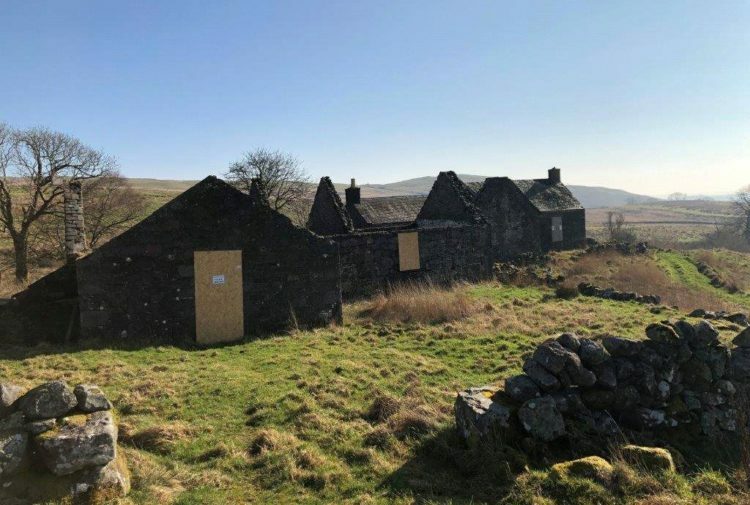 The agents will consider offers over £245,000.